After a flat start to the first full trading week of 2019 stocks are firmly on the back foot with the FTSE 100 falling 0.6% to 6,798.24 by midday, Germany's DAX down 0.6% at 10,702.05 and US futures calling for a lower open on Wall Street later. Any bounce from Chinese stimulus measures and US Federal Reserve chief Jerome Powell's softer language on the direction of rates last week is dissipating as focus shifts to the chances of any progress (or otherwise) in resumed trade talks between the US and China. Homewares retailer Dunelm rallied 11.5% to 645p after stating that its pre-tax profits would be 'modestly' ahead of market expectations, should the pace of growth seen in the first half continue. The company did, however, express caution over its full-year outlook, citing unprecedented levels of uncertainty currently facing consumers and businesses in the UK. Technology and payments specialist Equiniti dipped 1% to 204p despite announcing that it had won a contract from UK communications regulator Ofcom. Power supplier ContourGlobal rallied 2.1% to 188.6p on news it had agreed to acquire two natural gas-fired power plants, and the development rights for a third, in Mexico from Alpek for $724m in cash. Consumer goods distributor UP Global Sourcing, known as Ultimate Products, jumped 13.8% to 44.9p after it announced that it expected its earnings  in the 2019 financial year to beat current market expectations. OptiBiotix Health climbed 6.3% to 96.7p as it entered into an exclusive manufacturing and supply agreement for its weight-management technology in India. 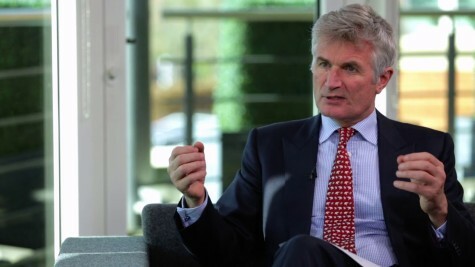 Wealth management and employee benefits company Mattioli Woods shed 2.3% to 645p, despite forecasting 'strong growth' in first-half adjusted profits, as it also warned of lower-than-expected revenue growth. Recruitment and training company Staffline firmed 3% to £12.46 on news that its PeoplePlus division had won contracts worth £104.6m from the latest round of UK prison education tenders. Ultrasound software company MedaPhor fell 3.2% to 7.5p as it warned of a deeper full-year earnings loss owing to heavier R&D spending.